The craving for colour in our bathrooms, started with a trend in colourful tiles and moved on to coloured tap ware but now bathroom designers are applying colour to baths and sinks, even boldly offering the vibrant vibe in patterns as well. 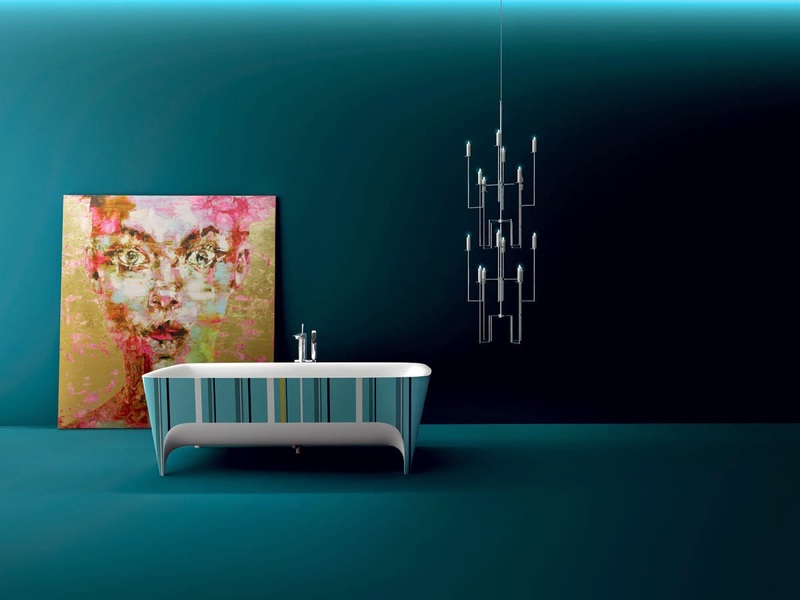 The POP bathtub from Teuco, distributed in Australia exclusively by Delsa, is a great example. It was designed by Carlo Colombo and is part of the Limited Edition Accademia range. It won a Red Dot 2014 award for it's brilliant design - Red Dot is an international product design prize awarded by the Design Zentrum Nordrhein Westfalen in Essen, Germany - and not surprisingly the bath has a top shelf price tag to match it's high class design credentials of $15,175.